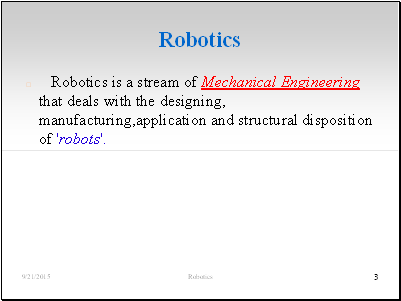 ● Robotics is a stream of Mechanical Engineering that deals with the designing, manufacturing,application and structural disposition of 'robots'. 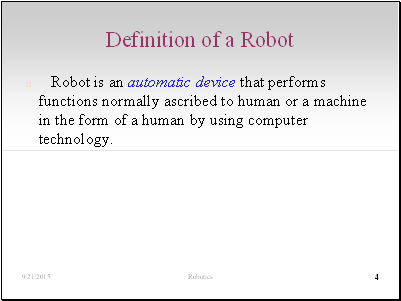 ● Robot is an automatic device that performs functions normally ascribed to human or a machine in the form of a human by using computer technology. 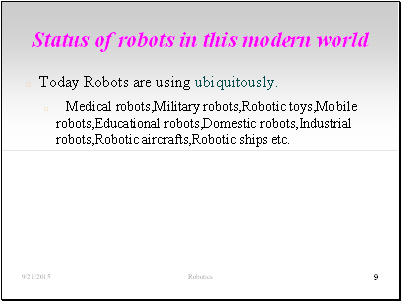 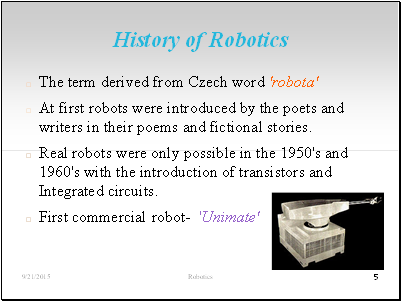 ● At first robots were introduced by the poets and writers in their poems and fictional stories. 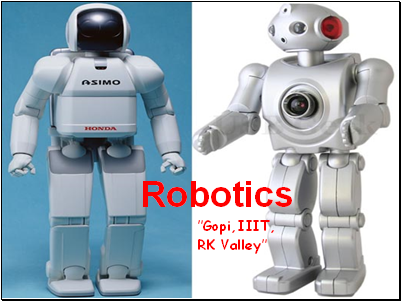 ● Real robots were only possible in the 1950's and 1960's with the introduction of transistors and Integrated circuits. 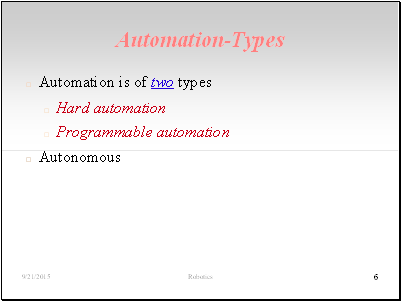 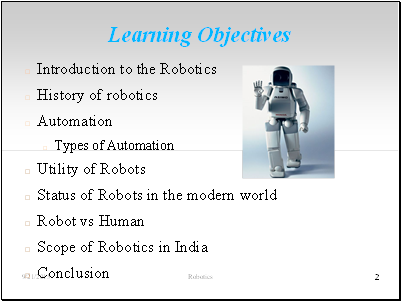 ● Robots are used to for the following tasks. 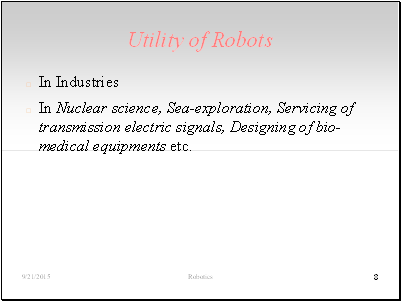 ● In Nuclear science, Sea-exploration, Servicing of transmission electric signals, Designing of bio-medical equipments etc.